Kinders had a great time creating pink by mixing red and white, then painting their piggy banks. make orange and painted pumpkins. 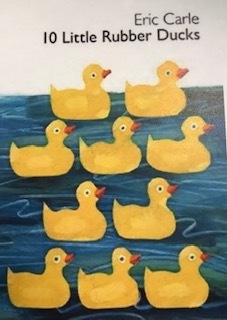 First painting lesson using a primary color inspired by the book Ten Little Rubber Duckies by Eric Carle.